Gardner Denver is proud of its heritage, with millions of products installed around the world and product lines more than one hundred years old. Throughout its history, Gardner Denver has made strategic acquisitions enabling it to grow and expand into new markets. Many of these acquired companies had built solid reputations in their specific markets. Gardner Denver has preserved their equity in the world marketplace, while establishing them as brands within the Gardner Denver family. The original Gardner Denver brand is the largest in the family, with products ranging from blowers and compressors to high pressure water jetting systems and petroleum drilling and well servicing pumps. 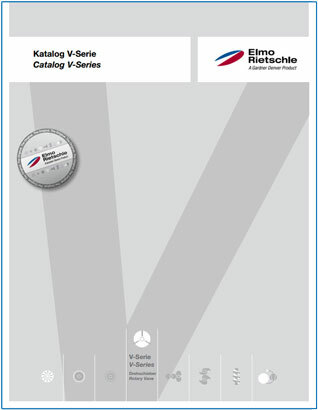 Elmo Rietschle offers a broad portfolio of single and multistage centrifugal blowers for vacuum and pressure operation. The applications of Radial blowers are mainly used in the packaging and paper industries, with the smaller units are suitable for extracting dust with fine material such as paper powder and powdered solids. Some technologies are so good that it is hard to improve them. Side channel blowers from Elmo Rietschle are such an example. They have proven their reliability in service for many decades, performing flawlessly day in and day out with virtually no down time. Noise levels have been lower than that of most other vacuum pumps and compressors. Side channel blowers are used for conveying gases and gas-air mixtures. Extreme conditions, which prevail in humid and wet processes, lead to lime scale or abrasion, and hence to a considerable reduction in the performance of the pump. Elmo Rietschle liquid ring pumps, however, meet these challenges. The use of high-quality materials such as stainless steel and ceramics ensure utmost reliability and constant operating characteristics – for years to come. These compact rotary lobe blowers belong to the group of dry running positive displacement pumps. This means that there is no need for oil or grease in the compression chamber. 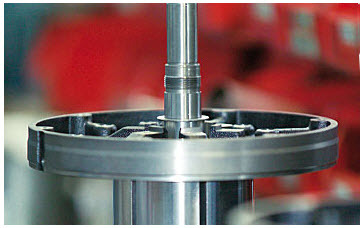 Only gear box and bearings, which are separated from the pumping chamber, are oil lubricated. Two non contacting triple lobed rotary lobe rotors rotate against each other in the compression room. The S-VSI screw vacuum pump (sizes 100-300) represents modern, state-of-the-art dry running technology that excels when it comes to small carbon footprint and low life cycle costs. It is used in a variety of industrial applications such as drying and packaging. Air and the oxygen that air contains have harmful effects on the quality and durability of fresh food. For this reason many processes need evacuation. The classic vacuum application in this field is vacuum packaging. Before sealing, a vacuum pump evacuates the air out of the packet. Vacuum pumps are used in numerous packaging machines for industrial use.